Discussion in 'Transportation' started by Chip 'n Dale Express, Oct 27, 2005. So, you have questions about DME and RAC? Check here first. If you don't find your answer, ask us. Hopefully, if you have questions regarding Disney's Magical Express (DME), Resort Airline Check-in (RAC), or what a 'participating airline' is, you'll find your answer here. A participating airline is one that has allowed it's 'system' to connect with the resort's 'curbside service' (RAC) allowing the guest to check their bags, and get boarding passes, at their resort. Not all airlines allow this...you will find a listing of the airlines that are considered to be 'participating airlines' further down on this page. Okay....so exactly how does DME work, and who can use it??? Anyone who flies into Orlando International Airport with a Disney resort reservation can take advantage of Disney's Magical Express ground transfers, along with luggage transfers, provided you have specifically made DME reservations prior to arriving at Orlando International Airport. You do NOT need to use the luggage tags to take advantage of the ground transportation. You are more than welcome to claim your luggage at baggage claim and bring it on the bus with you. You DO need to use the ground transportation to get your luggage transferred. You MUST have reservations prior to arriving at OIA. Anyone who flies out of Orlando International Airport with a Disney resort reservation can take advantage of Disney's Magical Express ground transportation. Only those flying participating airlines may check thier luggage & get boarding passes at the Resort Airline Check-in Desk. EVERYONE must be present (exceptions: Adults over 18 can check in for spouse & kids under the age of 18, but not in-laws, grandparents, brother/sister, etc). Bags may be checked the day of departure, up until no later than 3 hours prior to flight departure time. (Bag check process must be COMPLETE by the 3hr mark, regardless of what time the guest gets in line) Please note that this information is subject to change without notice. There have been times when the 3hr mark has been increased to 4hrs. Please check with your particular RAC desk for more details. Policy used to be that bags had to be checked no more than 12 hrs before flight departure...this seems to be no longer true. **NOTE** jetBlue requires passengers travelling with lap babies to check in at the airport and not a remote site. Luggage MUST be under 50lbs. They do have a scale, and will weigh bags. They are UNABLE to check bags over 50lbs. There are NO exceptions to this rule. There may be times where the TSA requires a guest to check in directly at the airport. The RAC desk has no control over this. All seats are pre-assigned by the airlines, and cannot be changed by the RAC desk. All seat changes must be done at the airport. Those who are not flying a Participating Airline may still recieve thier boarding passes at thier Lobby Concierge desk, so long as the airline has internet check in. Non-participating and international airline guests will have to bring thier bags onto the motorcoach, and check it at the airport itself. Despite rumors floating around the internet, these are the ONLY participating airlines for the Disney Resort Airline Check-In Desk. This page will be updated as soon as others get added. But until you see it on this page, they are NOT participating for the RAC desk. **Please be advised that all information is subject to change without notice. I've been wondering about something Tyler...as a bus driver, do you mind people that want to retrieve their own luggage and store it on the bus with them? I am one that would worry it wouldn't get there, as we are going on a cruise shortly after our Disney stay and want to keep it with us. Your thoughts? You do not need to utilize the luggage transfers for either way. You are always more than welcome to claim your luggage, and bring it with you on the bus. Just realize that when you take the luggage onto the bus with you, that Disney will not be covering gratuities for either the motorcoach driver or bell services at the resort. Ok, I don't want to entirely change the subject, but just a quick question...say you are staying offsite the first few days of your trip (don't ask ) and then transferring to an onsite hotel (don't know how we are doing that, either). Can you take ME just on the way BACK to the airport? I don't have luggage tag. Yes, you can utilize DME one way. At some point during your Disney resort stay, visit the Lobby Concierge desk, and they will make the arrangements. Just make sure to have your flight number and time with you. Sorry this is off-topic but.....Can I book a one-way outbound DME to the airport if I want to catch the DCL bus at the airport? I was able to get my TA to book our inbound trip to the resort from MCO but she wasn't able to book our outbound trip. She told me that since we aren't flying out and do not have our flight time, she could not book ME for us. But we are taking a disney cruise after our resort stay, could we not get a ride to the airport? The DCL bus doesn't pick up at value resorts and the time it does pick up at AKL is too late for us. Is it possible to get pick up by DME at the value resort to get to MCO and how do I go about arranging it? (My hand on one side of my mouth) Pick a flight, any flight, any airline, leaving before your cruise bus leaves from the airport (use Travelocity dot com to help find a flight) and supply that flight number and time to your travel agent to book ME back to the airport with. Another choice, modify/reserve your ME return trip after you get to the resort. Very easy. DCL buses from WDW are supposed to meet specific cruises. Are there any other resorts you can get to that have a DCL bus that you could use? If a problem occurs with your DCL trip all the way from WDW to Port Canaveral (correct me if I am wrong) Disney will get you to the ship. If something goes wrong on ME and you miss the DCL bus from MCO to Port C. you are out of luck. Thanks for the info seashoreCM. If this is a possibility then that's wonderful.......But I read on one of Official DME post saying that you must arrange for DME prior to arriving. Does this apply to just the inbound trip or does it also apply to outbound trips too? If I can arrange for pick up when at my resort, then I will just do it then. 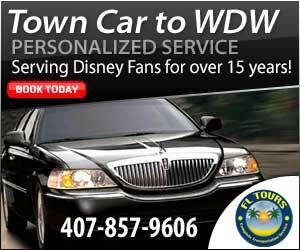 It means that you must have a DME reservation prior to arriving at Orlando Int'l Airport to get a ride to Disney. For the return journey, you also need a reservation, but you can make it same-day. When we return to the airport (non-participating airline, unless fares change) can we be dropped off at the curb and utilize the skycap services instead of waiting in the line inside? I like the idea to go to the lobby concierge and ask to get the boarding passes--wonder if non-concierge guests can do this? And yes, "Lobby Concierge" is the concierge for the entire resort. I think Club Level concierge is what you were thinking of. Please visit the Resort Airline Check-In desk at your Resort for further information." Ok, I am flying Jetblue. Is the info at the top of this thread correct & the booklet just needs updating? Maybe you've already answered this, but when our flight arrives in orlando (praying it does arrive safely! ), is the magical express bus waiting to retrieve us at a specific time, or do the buses come every so many minutes to pick new guests up when they're ready to leave the airport (like the buses that go to the parks)? I was wandering if you've got to be at a specific place at a certain time so you don't get left behind. That's my question. Thanks! When you arrive (of course it will be safely!!!) at MCO, you will go to Side A of the terminal, then go all the way to the lowest level, where you will find the DME Welcome desk. You will check in with them, they will stamp your return voucher, and then direct you to the correct bus area. The resorts are divided up, into different lines, at the bus area. You will go to the line that includes your particular resort. As the buses come, the CM's will direct you to a particular bus which you will then board for the trip to your resort. The buses come and go on a regular basis...so, no you won't be 'left behind'. It is more like the buses at the resorts going to the parks. So, if you need to use the restroom or get a quick bite to eat, you'll be fine. There will always be another bus coming along. That's odd that it doesn't mention jetBlue... they've been participating for many months now. Ok, we'll be flying NWA so thanks for clearing that up...however, here's another question of mine...we will be coming in around 11pm & most likely going to bed as soon as we get into our room! I'd rather not have my sleep interrupted w/a knock on the door w/our luggage...so you mentioned it's ok to claim our luggage ourselves & to bring it on the bus w/us...which we're more than happy to do, but my question is how late does DME run? Got a quick question. My return flight is scheduled for 630 AM (I gotta make it back for class at 9 ). We are staying on site at POP. How do I get from the hotel to the airport? Do they have a shuttle there at 5 AM? ?